The issue of child custody and access are often the most important issues to be resolved in a family law case. “Custody” refers to who is going to make the major decisions regarding a child’s education, religious upbringing and medical issues. In a joint custodial situation, the parents make the decision together, whereas when one parent has sole custody that parent makes these decisions, while the other parent has access to information regarding the child. On occasion, an arrangement called “parallel parenting” is awarded, whereby decision-making authority is divided between the parents (e.g., one parent makes all medical decisions while the other parent makes all major educational decisions). “Access” refers to the parenting schedule (i.e., the time that each parent has with the child). The permanence and stability of the family unit with which it is proposed that the child will live, and many other factors. Generally, the guiding principle for access is that each parent should have maximum contact with the child in accordance with the best interests of the child. Access may be unsupervised or supervised depending on the specific circumstances of the case. For deciding whether or not the parents should have joint custody, the court often considers how well the parties are able to communicate with each other regarding the child. There are many factors that determine custody and access issues of a case. 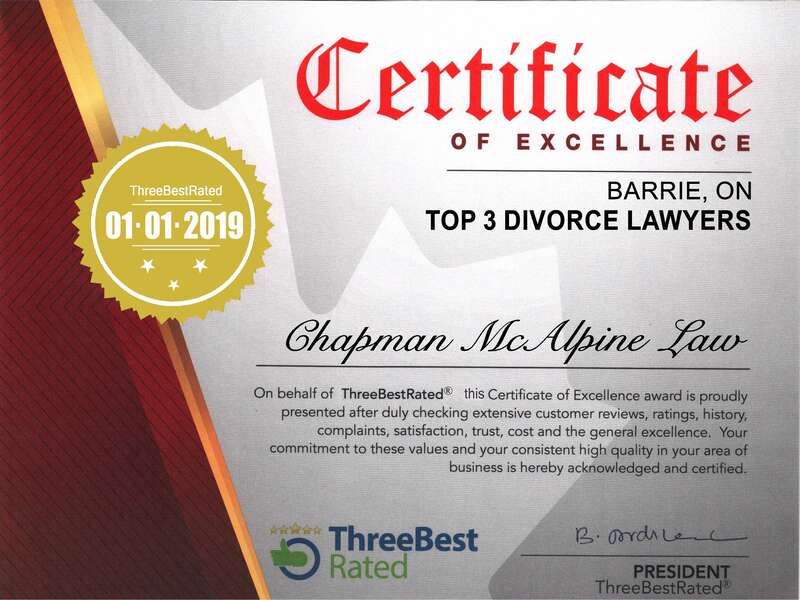 The lawyers at Chapman McAlpine Law are aware of how important these issues are for parents and can provide creative and practical solutions for the custody and access issues that you face. If you have any questions or concerns regarding the custody and/or access issues of your case please feel free to contact us and we would be happy to help.